This year’s series of George Clarke’s “Amazing Spaces” features a log cabin being built in a woodland clearing. 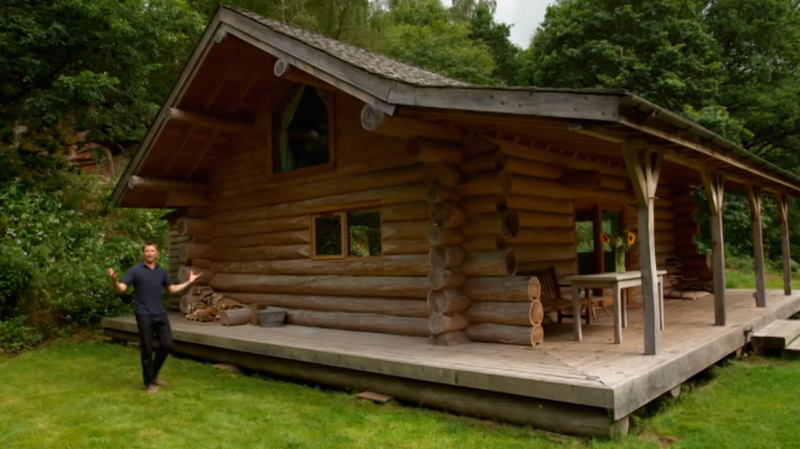 In the first episode, shown tonight, George visits this larger riverside cabin in the Lake District, built with larch logs taken from the surrounding forest. This is the plan with the smaller cabin he’s going to build, and there was a mention of identifying diseased trees to take. (Ramorum?) This episode also has a house built around a wooden railway carriage, and a couple of amazing locations (pod on a mountainside) and recycling (private jet body turned into a living space.) People in the UK should be able to view the episode for the next month on Channel 4’s 4OD catch-up service.